The PM said that ideology of extremism will not help anyone and urged "all countries move towards development". 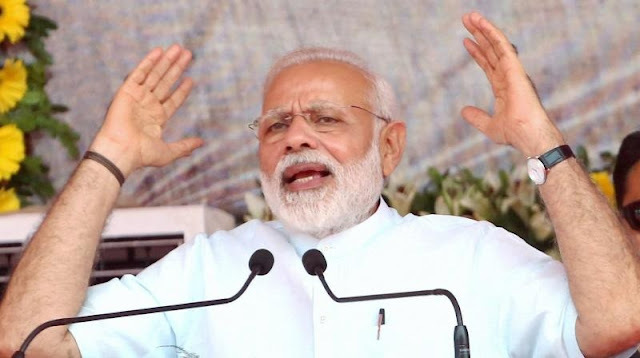 Prime Minister Narendra Modi today hit out at Pakistan for promoting extremism and said that its backing for terrorism was hurting the economic development in the whole region. Without naming Pakistan, PM Modi said that the neighbouring country "breeds, inspires and encourages terrorism", and thus obstructs growth in the region. "There is one thought in South Asia which breeds, inspires and encourages terrorism. The thought whose priority is not humanity, but extremism and terrorism," PM Modi said while speaking at an event to honour martyrs of the 1971 Bangladesh liberation war. The event was also attended by Bangladesh Prime Minister Sheikh Hasina, who is on a four-day State visit to India. PM Modi said that while India and Bangladesh focused on economic development of the entire region, Islamabad was following an ideology that promotes terrorism. "Our region is defined by three ideologies, which are a reflection of the thinking of the society and government. One thought is focused on economic development, to take all social groups along. Bangladesh is an example of this. "The second thought is 'Sabka Saath, Sabka Vikas' (bringing everyone together for development)... Every neighbouring country of India should also prosper. Development of India alone will be incomplete," said PM Modi. Without naming Islamabad, he continued: "There is a mentality in South Asia against this mindset... A mindset that promotes terrorism, which has a value system which is not based on humanity, but on violence and extremism. "The main aim is to spread terrorism. A mindset in which policy makers feel terrorism is bigger than humanity, destruction is bigger than creation and betrayal is bigger than trust. This mentality is the biggest challenge to peace, social harmony and development. This mentality obstructs development in whole region".